The end of the NBA 2017-2018 season is on its last sprint, with the playoffs being fought right now. And with seven very talented Aussies continuing their professional basketball careers into the playoffs, the NBA is one of the more popular sports leagues Down Under. Whether you just want to follow your favourite player or if basketball happens to be your favourite sport, you won’t want to miss out on any of the heated action on the court during the 2018 NBA playoffs, and we’ve got all the info you need to stream every game live in Australia. How to watch the NBA Playoffs online from anywhere in the world? We've got you covered. What are the NBA playoffs? For those new to the sport, the NBA playoffs are the best-of-seven elimination round held after the regular NBA season is done and dusted. The top eight teams from the regular season qualify for the playoffs, and go head-to-head to determine who will be crowned the ultimate league champion for the season. While the regular 2017-2018 NBA season ended on April 12, the sprint to the finish is well under way now. The Eastern Conference finals have been fought and the Cleveland Cavaliers are waiting to see who they'll be pitted against after the Western Conference has been played out. The Western Conference between the Warriors and the Rockets is currently tied at three games each, with the final match to be played tomorrow, May 29, at 11am AEST. The NBA final series will be played between May 31 and June 8. No free-to-air channels in Australia are broadcasting the NBA playoffs, but you can watch some of the games live and replayed on ESPN if you have a Foxtel subscription. ESPN owns the Australian broadcast rights in Australia and, as per the current agreement, 188 games per season are shown Down Under, including the playoffs, finals and the All-Star weekend. The sports package on a Foxtel subscription, with access to ESPN, will cost $29 a month on top of your regular monthly subscription fees. You can also live stream the games on supported devices (including streaming in your web browser or via Android and iOS apps) via Foxtel Now through the same $29 sports subscription package, which’ll get you access to all 188 lives games. One bonus with this streaming option is that if you’re a new subscriber to the service, you can take advantage of Foxtel Now’s two-week trial period and you’ll only get charged the $29 after the trial period is over. For Aussies wanting total access to the entire NBA season, the only real option is to get yourself an NBA League Pass. This’ll let you get to watch every game during the regular season (all 1,230 of ‘em) and the playoffs, including all the finals games. The League Pass will set you back $39.99 a month, or $149.99 a year. It includes not just access to all the games, but 24/7 live stream of shows, analysis and documentaries, as well as an All-Star Pass. More excitingly, you can watch multiple games simultaneously on desktop. If you’re out and about while your favourite team is on court, you can download the official NBA app onto your smartphone or tablet, and can even watch on many other internet-connected entertainment devices like the Xbox One, PlayStation 4, Chromecast or Apple TV via the official app. 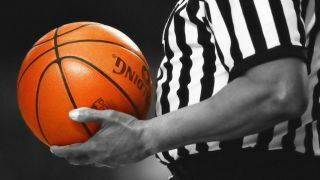 Cheaper NBA packages are also available: the One Team package costs $19.99 per month ($84.99 a year) and lets you watch all the matches for a single team, while the $14.99 a month ($54.99 a year) Game Choice package gives you access to eight games of your choice to watch per month.